Be a part of the latest camping craze with an unforgettable glamping experience. 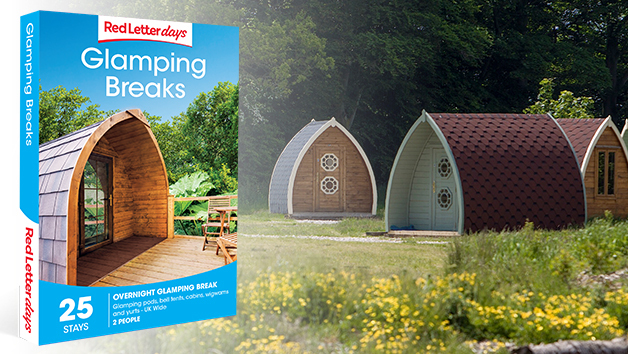 Avoid the hassle that comes with packing and building a tent with a getaway in a comfortable glamping pod, bell tent or yurt. This voucher offers the chance to stay in a range of stunning countryside locations throughout the UK. You could choose to visit Cumbria, Shropshire, Devon, Somerset and many more. This voucher is valid for 24 months. Booking restrictions may apply at some locations. Most exclude the Christmas and New Year period while others can be booked Sunday to Thursday only. Please read the notes on your chosen stay and please book as far in advance as possible to ensure the date of your choice (minimum eight weeks recommended). Over 18's are welcome in most glamping pods.